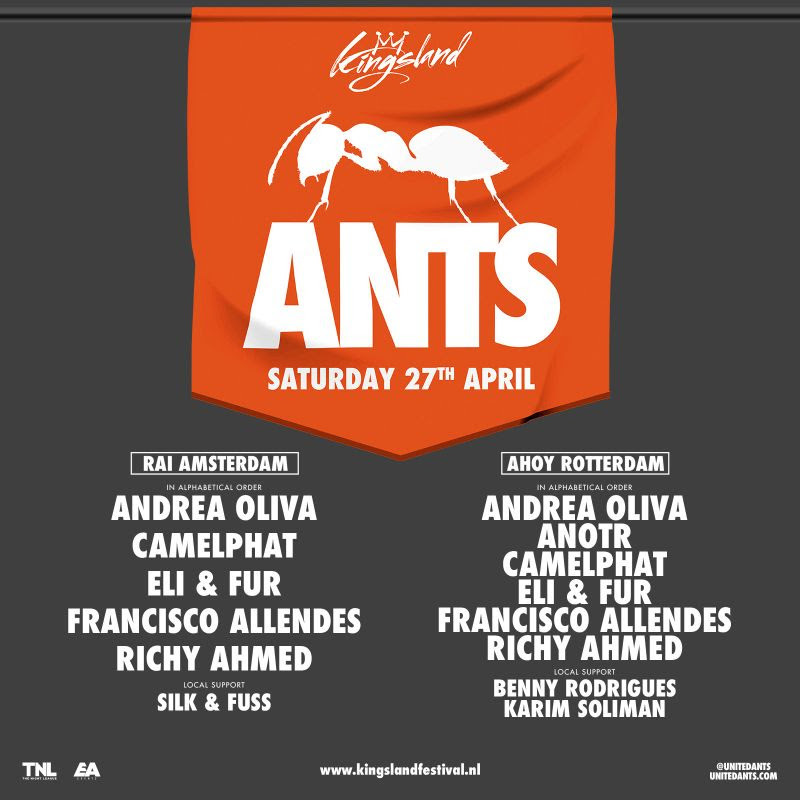 Andrea Oliva, CamelPhat and Eli & Fur will be among the acts when ANTS celebrates King’s Day in Amsterdam and Rotterdam. The two shows on Saturday, April 27th will be part of the multi-city Kingsland Festival. The ANTS stage at Amsterdam Europaplein 24 will see sets from Andrea Oliva, Camelphat, Eli & Fur, Francisco Allendes and Richy Ahmed. At Ahoy Rotterdam, there will also be a set from Anotr. For tickets and details go to unitedants.com/events.